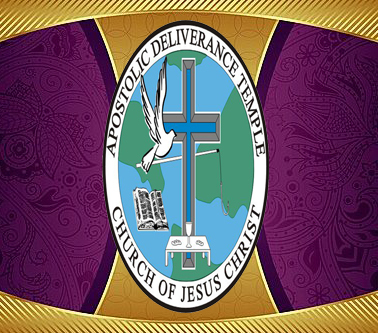 Not only are we glad, but we are Celebrating 40 years of ministry of the Apostolic Deliverance Temple Church of Jesus Christ. It was on the bi-centennial Fourth of July, 1976, when this ministry was organized in Memphis, Tennessee. And over the past 40 years, God has tremendously blessed this ministry in many ways to teach and reach others with the Lifesaving word of God. Not just across this country but also in Ghana, West Africa, we have two Church Ministries there, and in Hinche, Haiti, we have a Church and an Elementary School. If you have been touched and blessed in some way through this ministry, I am cordially inviting you to join us in the Celebration of the 40th "Convocation Week," which begins June 27th thru July 3rd 2016. The theme is "Giving God The Glory"
I look forward to seeing you in the CELEBRATION! Copyright © 2010-11. Apostolic Deliverance Temple. All Rights Reserved.